Since moving to Pittsburgh and patronizing fantastic local craft breweries as well as sampling outstanding imports from countries like Germany and Belgium, I have come to enjoy beer in the way others enjoy fine wines. Perhaps it was inevitable that I would be drawn to homebrewing. If you are curious about trying it yourself, here is a rundown of my forays into the art and science of brewing. The first beer I brewed was a Belgian wit; I used a “no-boil kit” in which the wort—the mixture of malts and adjuncts that eventually ferments into beer—was already created and sold to me in cans. All I had to do was add water and yeast, then wait. 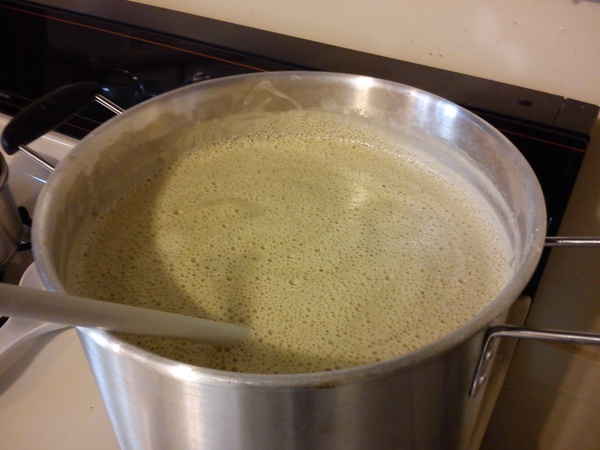 While easy and fun, it was not true homebrewing; I had very little control over the strength of the beer, the types of hops being used, and the strains of yeast. The science was already done. Like a paint-by-numbers creation, no-boil homebrews can be a great place to start but are not something you would show to your friends as an example of your artistic skill. After a year or two, I bought a full set of supplies (a brewing vessel, a bottle capper, some measuring devices, and other such items) and prepared for my first real homebrew. Again, I bought a kit with a recipe, but the wort had to be created from scratch this time. I steeped my grains, mixed in liquid malt, added the hops, and timed my boil to ensure the mixture was properly prepared for fermentation. Three weeks later, I had two cases of a homebew Oatmeal stout. It wasn’t fantastic, but friends and family enjoyed every last bottle. I have done three batches since then, all of different styles: a Belgian Strong Pale Ale, an Imperial Stout, and, my most recent composition, a Bavarian Dunkelweizen. All are ales, which require a week or two for one fermentation cycle at around 65 degrees Fahrenheit, with the yeast fermenting from the top of the beer down. In contrast, lagers require colder temperatures and longer fermentation periods, with the yeast fermenting from the bottom up. To do lagers (eventually), I will need a refrigerator devoted to nothing but brewing. For now, I am very satisfied with ales. It is fun to try to recreate the tastes and appearances of some favorite beers while also adding my own little touch. For my Dunkelweizen—a German or Bavarian ale that uses wheat along with or in place of barley as the main malt—I created an experimental recipe. Here is a step-by-step view of the two-week process , with a few recipe secrets. I first prepared my wort in a 6 gallon plastic bucket, beginning with a dry malt extract to save the time it would have taken to steep the grains. (Otherwise, I would have steeped the cracked grains at a steady temperature to draw out the malt, then strained out the grains to leave the malt suspended in water.) The malt is the bulk of the brew’s fermentable sugar, and the amount of fermentable sugar used will the beer’s strength, color, and body. I used 6 pounds of malt, 5 of wheat and 1 of light barley, targeting a brew of 5 to 6 percent alcohol by volume. (For comparison, a Budweiser is just under 5 percent.) I boiled two gallons of water, added my malt to the boil, and kept this boiling for an hour, adding ingredients along the way. One was clover honey, which is also fermentable and will therefore add a bit of strength to the beer. Since it doesn’t always fully ferment, it can stay in the final beer as a sweetener and thicken the body somewhat. I added tettnager hops, a less-bitter hop that is popular in German beers. I also added an experimental tea mixture early in the boil, made from chamomile and catnip. Catnip is in the mint family but it doesn’t exhibit the “cool” feeling of other mints, and it tastes closer to something like oregano. The next step was to cool the wort and then add water to bring the batch up to 5 gallons. In preparation for adding the yeast and initiating fermentation, it became crucial to sterilize everything the beer would touch, using a special cleaning agent that is safe for brewing materials. Otherwise, any type of foreign organism could ruin the entire batch with off flavors. After adding the yeast, I sealed the container and left the brew to ferment for two weeks. I chose not to do the optional step of a secondary fermentation, in which the beer is transferred to a second (normally glass) container to continue fermenting for weeks or months, lending a more mature flavor to the brew. Instead, I went straight to bottling. At this point, the wort had become beer, albeit flat. I transferred it to a bottling bucket, which has a spigot on it, then mixed in a primer, a small amount of sugar in suspension that reactivates the yeast briefly. 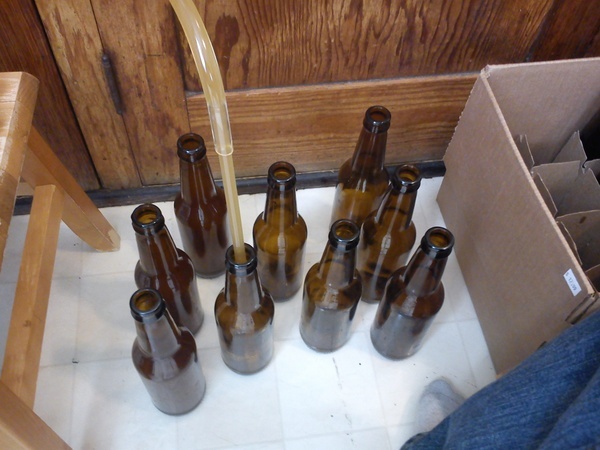 I quickly began bottling, filling each of the 50 twelve-ounce glass bottles and capping them with a hand-held capper. Finally, I stored the bottles in a dark place for another 10 to 14 days, during which time the yeast ate through the primer, putting off carbon dioxide that was forced into suspension and created carbonation. Homebrewing requires a lot of patience, but pays off when you open the first bottle of a new batch and find it to your liking. Depending on the strength, your beer can be stored for months or years. Because a small amount of yeast remains in suspension in homebrewed ales, it is a “live beer” and its taste can evolve over time. Very strong beers can change drastically over the course of a few years. So I try to put aside a few bottles of each batch, letting it mature (fingers crossed) like a fine vintage. 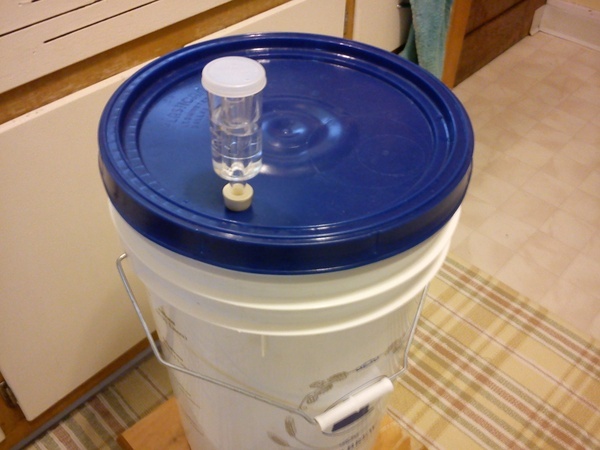 This entry was posted in Blog, Front Page and tagged beer, diy, homebrewing on September 24, 2012 by Akoya.